There are few cars that are as envied and feared as the Shelby GT500 in the automotive world. 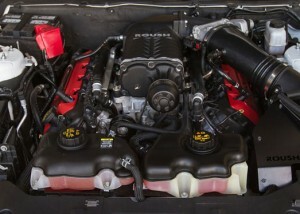 Packing a monstrous supercharged 5.4L engine in 2007-2012 and 5.8L engine in 2013-2014, Shelby’s have built a reputation as being the top dog of today’s muscle cars- the physical representation of engineering madness and mastery in one clean, attractive package. The Shelby GT500 constantly finds itself in the crosshairs of its varied-spectrum of competitors, yet it still outpaces them all, especially when it has been massaged with a few modifications. Despite the stout and stacked performance of the Shelby GT500 lineage, the 5.0L coyote engine packs enough potential within its engine bay to defeat the goliath Shelby Mustang. While the coyote V8 engine comes from the factory with an already staggering 400+ HP, your average enthusiast looks at that as a foundation on which to build a powerhouse of a Mustang. With 5.0 liters, 4-valves, 4 cams, and twin independent variable camshaft timing (or the less jumbled acronym Ti-VCT), the coyote almost begs to be modified for high horsepower insanity. Granted, there are many ways to modify a Mustang, which ultimately comes down to how you envision your build for your desired driving application. But when it comes down to beating a GT500 it is ultimately about two things: making big power and putting the rubber to the road. Using the legendary Shelby GT500 as our benchmark, we have compiled a list of parts that will give your Mustang GT the edge you need to beat a GT500. One of the biggest deficits a GT owner will have to face when it comes to beating a Shelby is power. 2007-2012 Shelby GT500s came with anywhere between 500 and 540HP while the 2013-2014 models came with 662 HP and enough torque to launch a Saturn rocket. To be able to hit those power numbers and edge out a GT500 at the finish line there is only one feasible option: forced induction. As the Shelby GT500 makes big power thanks to its roots style blower, a GT running a similar setup will deliver huge gains and impressive performance. 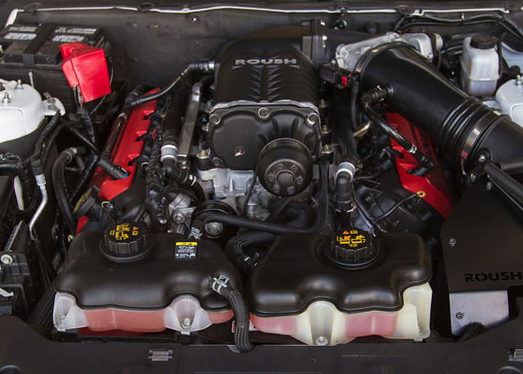 A Roush Supercharger is a great option and an easy way to make power that will have you planted in the back of your seat. Offered in a variety of power options, you can have anywhere from 575 to 675 HP with just this modification alone, putting you in prime power range to hunt down some GT500s. There are two key factors to fully utilizing the power your GT is now making: upgrading your exhaust and getting tuned. 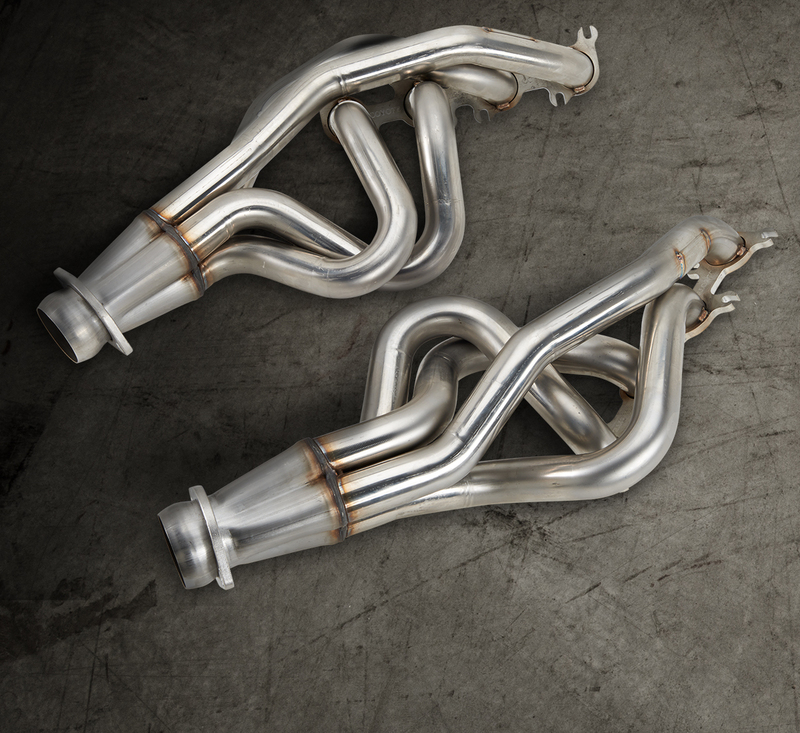 A set of long tube headers like those produced by Kooks will keep the power flowing while also making your GT’s bark match its bite; the less-restrictive exhaust flow will allow your supercharger to perform to the fullest of its potential. Tying everything together and giving you the biggest punch in performance will be your tune. With a Bama Performance Tuner and tune that optimizes your supercharger’s performance, you will be sure to make big, safe, and reliable power that will have you blowing past Shelby GT500s. When adding that much power to your GT, it is recommended that you make some supporting upgrades to handle the large increase in power. One of the immediate areas to address would be the drivetrain. 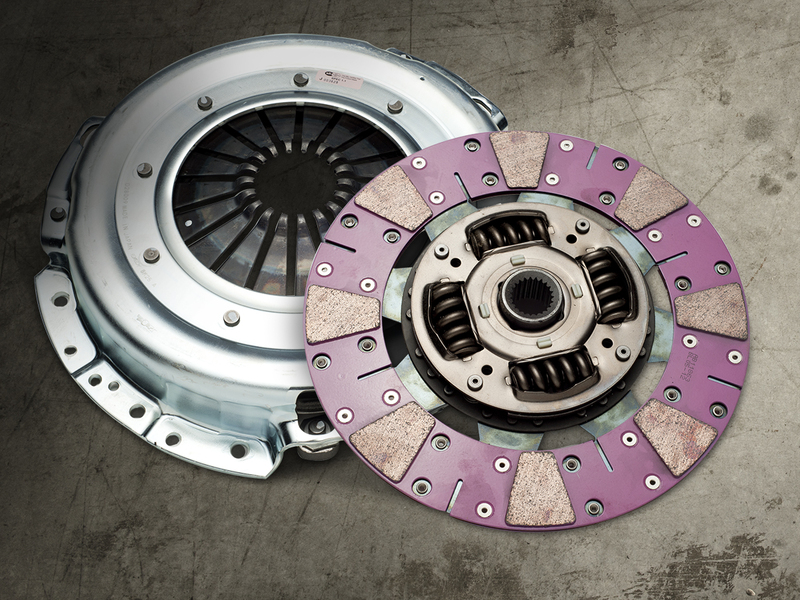 The stock clutch and driveshaft can only handle so much power before they see failure. If your Mustang is a manual car, an Exedy Clutch will have you engaging every single drop of power your GT can muster. Moving down the drivetrain to the driveshaft, a one-piece driveshaft like those offered by The Driveshaft Shop will not only reduce drivetrain power loss, but will also make sure your GT can handle the high horsepower numbers you are shooting for! With the go-fast parts you need tuned to perform to the fullest of their potential and your drivetrain beefed up to support them, there is one final ingredient to this winning formula: traction. 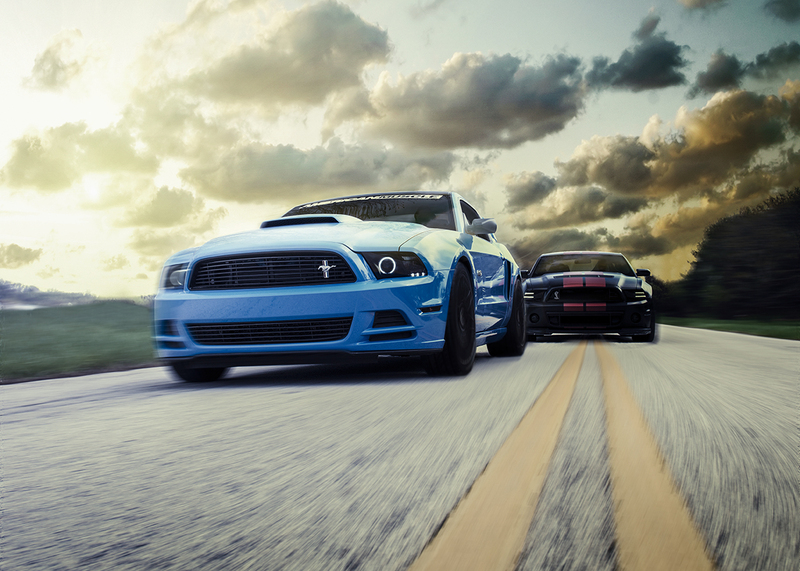 All of this extra Shelby-beating power and performance doesn’t mean anything if you cannot put it down to the pavement. 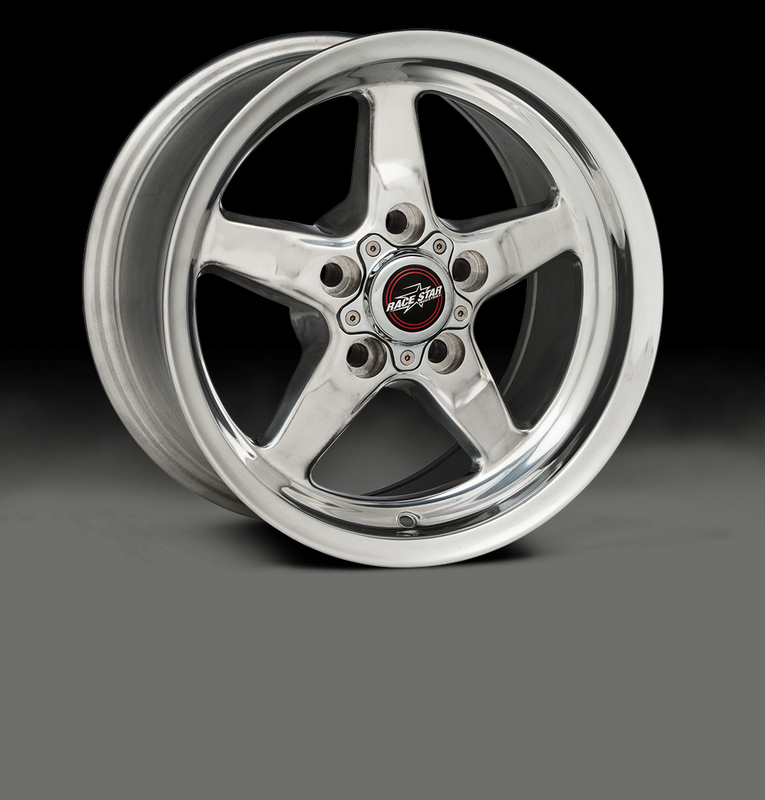 A set of Racestar Wheels mounted with some Mickey Thompson rubber will give your GT the look and the grip you need to hook-up and take-off. Paired with a set of adjustable lower control arms like those offered by Whiteline Suspension, your GT will be ripping down the quarter-mile instead of spinning wheels. The Shelby GT500’s award-winning performance is rarely beaten by anything else around, but with the right modifications to your GT you can give the feared and legendary Snake a run for its money and its performance crown! Previous Entry Visit AmericanMuscle at the Carlisle Ford Nationals!